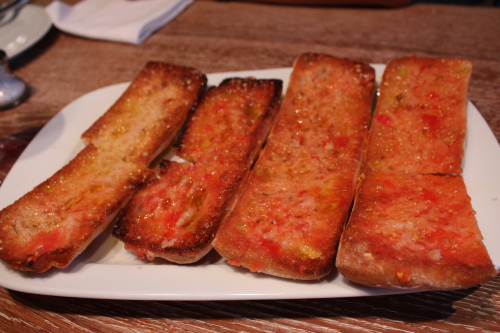 With Anna all the way from Barcelona, the pa amb tomàquet is a very important dish. Not only does the bread have to be right, but so do the tomatoes. Anna has gone as far as "importing" tomatoes in her hand-luggage as she wanted them so much. 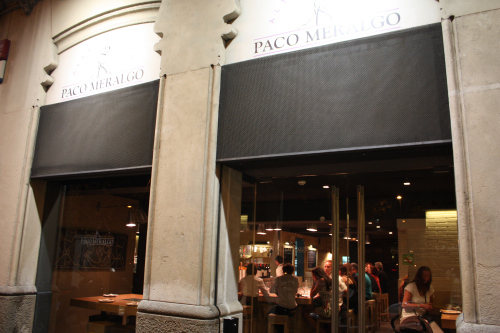 Our favourite place for this dish would have to be Paco Meralgo in Barcelona.. a gorgeous tapas bar on the higher end of the scale, but well worth the visit.